Barkworthies Lamb Rib dog chews are a single-source all-natural dog chew. 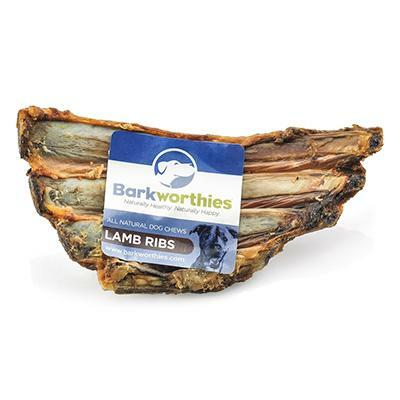 Lamb Ribs are sourced from free range, grass-fed Australian lamb. Helps remove tartar build up while being chewed. No Chemicals, additives, or preservatives. Size will vary from rib to rib; typical size is 6 to 7-inches.